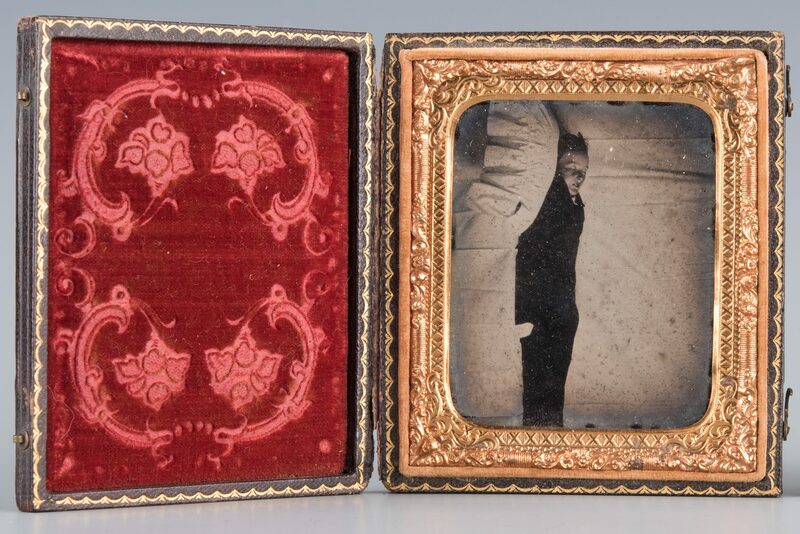 Two 19th century photographs including a post-mortem image. 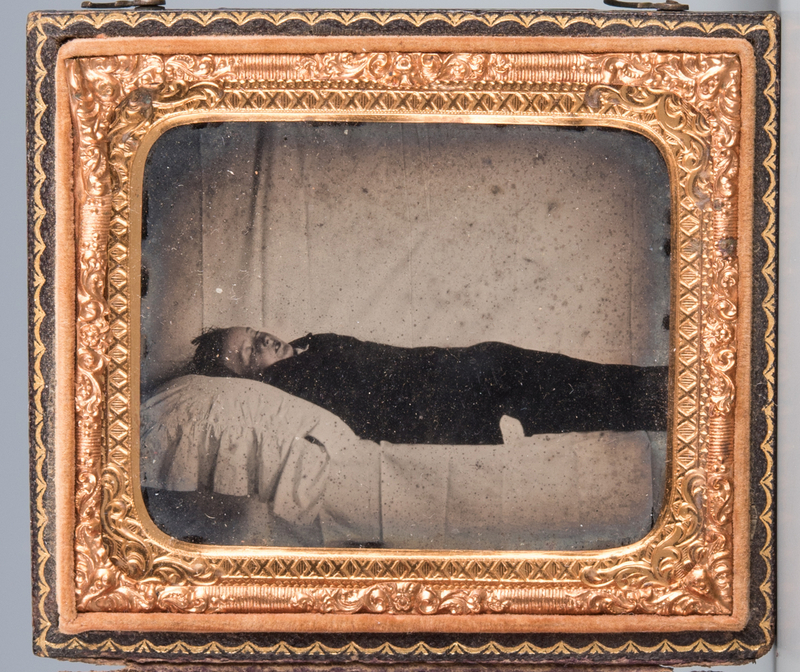 1st item: Ambrotype of a dead young man, decorative gilt mat and velvet lined union case with phoenix design to exterior. 3 1/2" x 3". 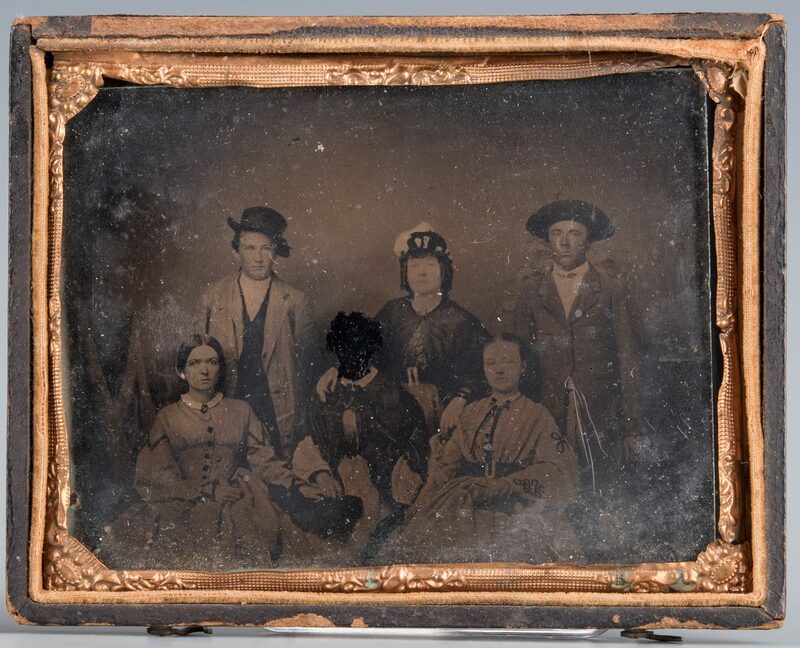 2nd item: Ambrotype of six people, possibly a family, with the face of one woman inked or rubbed out. 4 1/2" x 3 1/2". CONDITION: 1st item: spine of case intact but with some separation at edges. 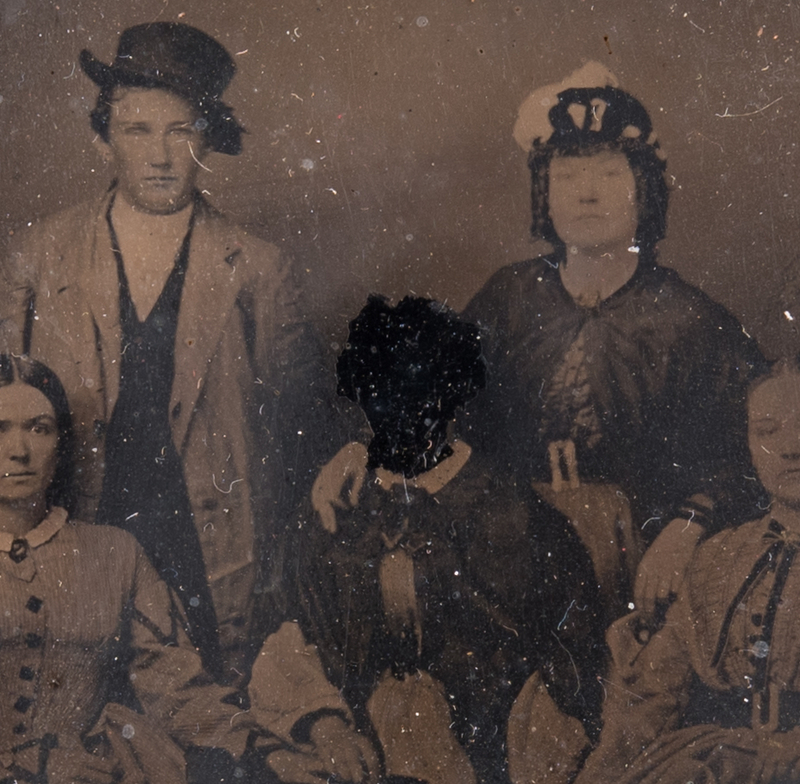 Image in very good condition. 2nd item: missing half of union case, wear to case exterior and denting and oxidation to metal mat. Some darkening to image.